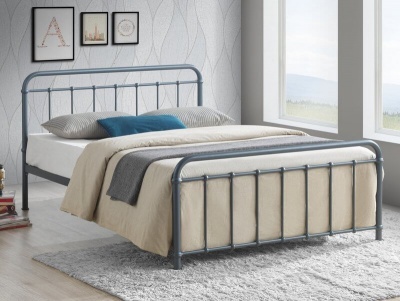 Discover the charm of the Corona washed grey double bed frame. 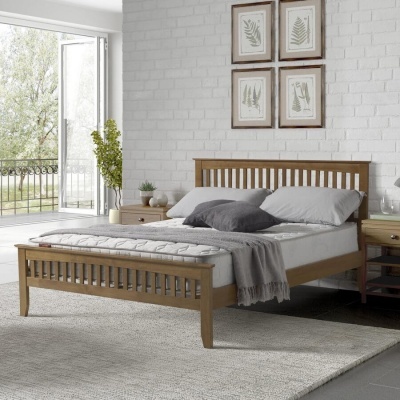 Enjoy relaxing in bed with the supportive slatted headboard. 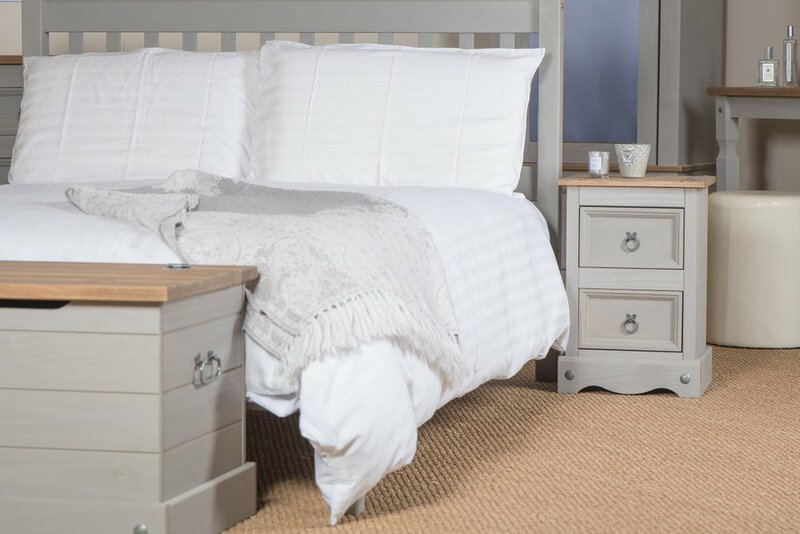 Low foot end great for draping your duvet or throws over to create a luxury look in your bedroom. Fashionable finish with contrasting pine detailing. 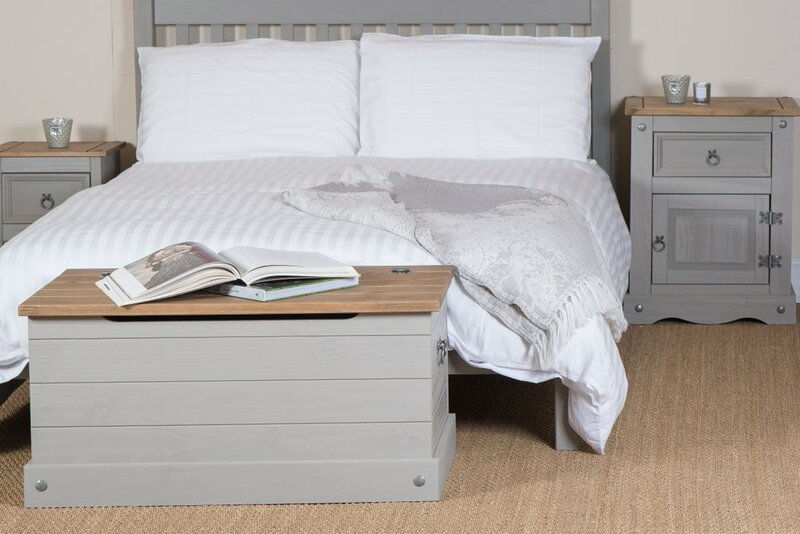 The subtle grey wash wax finish allows the natural grains and textures of the real wood to show through. Made from responsibly sourced South American pine. 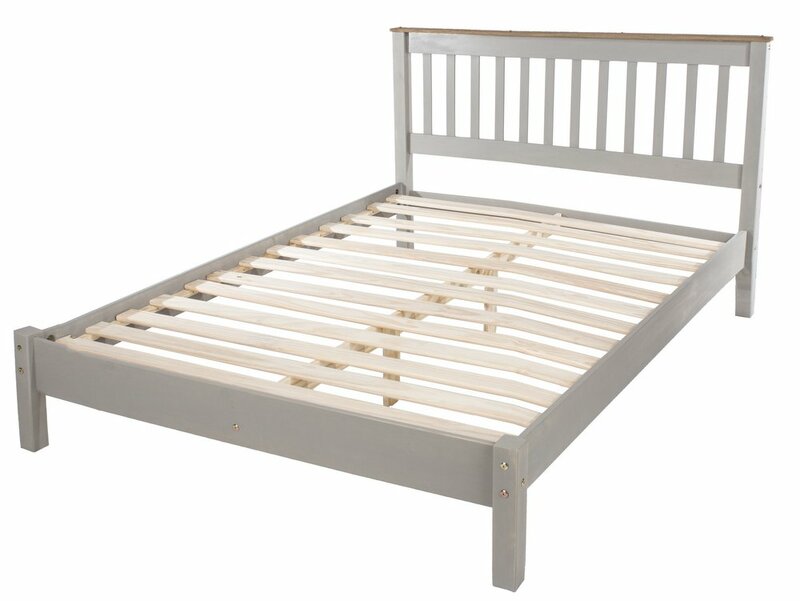 Fits a standard UK size double mattress available separately. Designed to last with high quality construction methods.